What makes a city? Its buildings and streets? Or is it the people who live in it? And how would you recognise a world heritage city? In my understanding, what ultimately makes a city is its people. A city does not spring out of the landscape overnight. It is people who—literally and figuratively—construct the city over time, its monuments, its artifacts, its roads, its memories. And if the range and diversity of skills amongst the people that a city fosters, contribute to exceptionally high standards of art and science, to dynamic architectural and spatial articulations, to just and equitable systems—it becomes a living repository of accumulated knowledge that the entire world can learn from. In short, a world heritage city. Is our city of Delhi then, a world heritage city? I am going to demonstrate that it always has been one, through the examples of two unparalleled remnants from its history which also happen to be two of its most visible symbols, the Lal Quila and the Jantar Mantar. Created in the 17th and 18th centuries respectively, during the days of the Mughal Empire, both these are unique in the history of the world. They have always given, and still give, Delhi an identity and values that set it apart from other cities of the world. I shall now briefly explain how and why this is so. My understanding is based upon long-standing research as well as my own work on the enunciation and development of an appropriate conservation philosophy for these two sites. Many people are aware that Delhi was a centre of habitation even in Stone-age times. From early historic times, it has also housed not just ordinary urban settlements but the royal capitals of different rulers. These rulers of successive dynasties developed portions of land in the region of Delhi each with their distinct walls, forts and supporting fabric—creating over time its various cities. These cities—fragments of which we can see still see today—respected the topography and ecology of the region and coexisted with the earlier settlements even when they supplanted them. Rarely can there be found anywhere in the world, so many contiguous manifestations of the city form—shaped by, and resulting in, a unique density of human interaction—as in Delhi. Later Western visitors unfamiliar with its antiquity, compared it to the only other city they knew which had a similar density of grand ruins, calling it the Rome of Asia. To residents of Delhi from that time and earlier, familiar with its manifold references in tradition, song and history, it may have been more fitting to call Rome, ‘the Delhi of Europe’. For years after its founding, the fame of 'the palace of his good fortune' attracted adventurers, kings, artists, and seekers of all hues from the far limits of the Mughal Empire and beyond. The symbolic and actual power of this imperial Fort and the beauty of its remaining fragments, earned it the epithet of the ‘The Most Magnificent Palace in the East, by the pioneering British historian-explorer James Fergusson, much after its heyday. And led King George and Queen Mary on their State Visit to India in the early 20th century, to re-enact the rituals that characterised its original use, such as the ceremony of darshan, between the Mughal emperors in their riverside pavilions and their subjects assembled on the banks of the river. Recorded in the writings of many travellers from the time of its establishment, the Red Fort was also the subject of the drawings of practically all the visiting European artists who, from the 18th century onwards, descended on India in large numbers. Yet its huge size, and the complexity of its planning and use, made it impossible for any of these visitors to comprehend or access the Red Fort in its entirety or to completely and correctly depict it. In later years, its exquisite buildings, repeatedly plundered, were shorn of much of their decoration; and their formal designed setting was diluted with additional structures constructed in an inferior architectural style. But such was the potency of the Red Fort's original design, that even then it was impressive enough to be universally admired - by not only the inhabitants of the Mughal Empire for whom the Red Fort symbolised much more than its physical appearance, but also visitors from different cultures and regions. Even the marauding British soldiers in the mid-nineteenth century,who roamed the Fort after its last Mughal ruler, Bahadur Shah Zafar was defeated and imprisoned, recollected with awe, ‘the vast size of this castellated palace with its towering embattled walls’, and its ‘gorgeous domes and minarets’. Just a decade before the British plunder and sacking of the Fort, Lady Emily Bailey, the daughter of the powerful British Resident in Delhi, Sir Thomas Metcalfe, wrote of its ‘sublimely beautiful buildings’ which she saw after her return from England in 1848. In these panoramas, probably drawn around the same time the Red Fort’s proximity and response to the Yamuna river is clearly visible, as is its interface with the city and the vibrant multitude of activities and structures within. Photographs of the Fort from this time , also show the impeccable proportions of its spaces, and their stunningly intricate craftsmanship. We may do well to remind ourselves that these date from almost exactly two hundred years from the date when the Red Fort was inaugurated by Shah Jahan. At this time, the fortunes and power of the later Mughal rulers were vastly reduced; their resources and empire were a fraction of Shah Jahan’s. The Fort, when it was inhabited by Shah Jahan, thus, would have been many, many times more fascinating. But the gigantic architectural effort of the Delhi Jantar Mantar— as indeed of the Red Fort and of the city's other historic components, were 'manufactured' not by the Titans, but by the skilled eyes and hands and the creative spirit of the populace that Delhi attracted and nurtured—a fact recognized even by invaders. So, when the Persian Nadir Shah sacked Delhi in 1739 CE, he not only took its fabled material treasures as booty, but also the hundreds of craftspeople who practiced their trades here. After this plunder, the city's celebrated poet, Meer Taqi Meer (1723-1810 CE), in his famous lament of the desolation of Delhi , extolled it as a place ‘where only the chosen lived of every trade’ and ‘once a select city in the world’,. Indraprastha, perhaps the oldest capital in the Delhi region, is described in the Mahabharata as ‘…the envy of all Bharata-varsha, for it was a prosperous city with fields and orchards and pastures and markets and river-ports...’ where ‘Priests, warriors, farmers, herdsmen and artisans from all over came to make this their new home.’ The willingness to accommodate different kinds of people, and the recognition of the value such people lent to the city, gave the past Delhis a sense of kinship beyond just their immediate boundaries. And the awareness that 'a prosperous city' is as much because of its 'fields, orchards, pastures' as 'its markets and river-ports', gave them a humane scale. Thus, the Red Fort and the Jantar Mantar, though established on the initiative of royal patrons, were created as much to accommodate the requirements of ordinary people as of their famous patrons. So, for instance, the complex planning and the variety of the original spaces and structures within the Red Fort, (as may be seen in one of its most detailed representations, a map dating from the mid-1840s) were derived from the requirement to house and give access to a wide spectrum of people. Similarly, the very reason for the arresting size, form and location of the large masonry instruments of the Jantar Mantar was because Sawai Jai Singh wanted to popularize observational astronomy and make it accessible to ordinary people in the Mughal Empire. Even his decision to construct these immovable masonry instruments despite being familiar with the new invention of the telescope, was activated by this concern – quite contrary to recent claims that this was ‘a case of a headstrong monarch looking to construct huge and extravagant monuments for himself’. Sawai Jai Singh explicitly states: 'Since the telescope is not readily available to an average man, we are going to base our rules of computation for naked eye observations only, which, in turn, are based on earlier texts.’ We owe the unique design of the Yantras at the Delhi Jantar Mantar– which were extremely complex to devise and construct, but whose use conversely was relatively simple even for non-experts (as recent programmes with schoolchildren and amateurs have demonstrated) – to this fact. The cultural, architectural, associational and artistic attributes of the celebrated original design of the Red Fort too, an icon of our city as also of our country―arise, as I hope to explain, out of similar human values. The ramparts of the Fort and its Lahore Gate with the Indian Flag atop from where the Prime Minister of India addresses the nation each Independence Day, are familiar to all of us in this country—even pre-school children. However, we little realise or appreciate that this view is actually the antithesis of the Fort’s design. The entrance to the Lahori Gate, in the reign of Shah Jahan was straight and open to view, not hidden by a wall or a mound, in keeping with the Mughal Emperor’s actual and metaphorical accessibility to his people—and this is of enormous significance in the original spatial and architectural relationship of the Red Fort and Shahjahanabad. The isolation of the Fort from its city, which we inadvertently continue to perpetuate, was first begun by Shah Jahan’s son, Aurangzeb, who ordered the construction of a second line of gates at right angles to the Fort's main public Gateways, and introduced architectural and actual barriers between himself and the people of his city, and indeed his Empire. These were heightened many times over by the British who constructed more barricades in and around the Fort and swept away everything within 300 yards of its walls as a no-man zone. A photograph of the area from the top of Jama Masjid, shortly after this demolition by the British in 1860 following their victory over the last Mughal ruler, Bahadur Shah Zafar, shows the empty spaces around the Fort (1870, photo 2/3 (76) OIOC.BL). This radically changed the environs of the Fort and transformed it into an island severed of its connecting spatial and social links to Shahjahanabad—reversing the very basis of its establishment. Equally importantly, this also did away with the beauty and bounty of the public gardens, orchards and trees that yielded fruit, shade, and verdure to the Fort’s foreground and afforded a place of repose and relaxation to the people of Delhi. These public gardens and orchards are visible in maps and drawings from the 18th and 19th centuries, a record of the ‘...peculiar pleasure’ that a landscape of luxuriant and green foliage yields ‘in a hot and parched country,’ as noted by the mid-17th century French traveler, Francois Bernier. Within the Fort, too, its beautiful gardens along with more than eighty percent of its interior was completely effaced. In an onslaught even worse than that under Nadir Shah, the Fort was also looted of its valuable decorative effects, stripped of its gilded copper domes, of its inlay of precious stones, its delicately carved marble panels. The structures that were spared from demolition after the looting, were used as military prisons, canteens, refreshment rooms, mess lounge, and hospitals for the British army. The only extant part of its celebrated design which escaped the demolition by the British, is a miniscule number of original Mughal pavilions and gateways. Of immeasurable value, and representative of the creative heights that Delhi, as one of the foremost cities of the world, has historically fostered, they are highlighted in this redrawn version of the 1840s map made for my book, The Red Fort of Shahjahanabad. They embody the qualities that make the Red Fort not just an epitome of urban architectural patronage in Shah Jahan’s reign, but the culmination of the experiments in architectural forms and spaces in the earlier imperial Forts and cities of the Great Mughals. They also represent one of the finest examples of a sustainable way of planning, building, and living, that we can learn from and apply today, in our cities and towns. The design of the Red Fort—the only urban Mughal palace complex of its kind to be planned and built together as a holistic venture with its city of Shahjahanabad—not only addressed all the problems of access, and overcrowding in Mughal cities and Forts such as in Lahore and Agra but also catered for future expansion in a setting befitting one of the richest and most cultured medieval empires in the world. It set the trend for domestic as well as ceremonial architecture all over the Mughal empire; and for subsequent and contemporary kingdoms in the sub-continent. The Fort and much of its city were ready in just 10 years. In itself this is a huge venture, as we can all appreciate especially when we compare this to contemporary construction. There are thus remarkable managerial and construction skills embodied in the method of planning and building of the Red Fort and Shahjahanabad, that invest them with a huge significance. The Red Fort was therefore the grand finale to imperial Mughal forts, just as the Taj Mahal, Shah Jahan’s most famous act of patronage, was the grand finale to imperial Mughal tomb-gardens. In its original form, much of the Fort had the same quality of refined luxury as the Taj Mahal still does. Like the Taj, the Fort was crafted and built with perfect proportion and detail. When the Fort’s foundations were marked out on 29th April 1639 CE, during the second decade of Shah Jahan‘s reign, its design was reportedly led by the master-architect Ustad Hamid and his brother Ustad Ahmed Lahori, who, some sources claim were associated with the building of the Taj Mahal. The same care that Shah Jahan expended on the mausoleum of his beloved wife, was used to craft his living areas and those of his family. Shah Jahan’s official court-histories record how he often made detours in his administrative or political visits, so that he could himself inspect the construction at the Fort. Fatehpur Sikri sandstone, the finest Makrana marble, glass imported from Allepi, and a range of semi-precious stones, gold and silver from all over the trade-centres associated with the Mughal empire, were used in its construction. Shah Jahan grandly celebrated the completion of his magnificent Fort and its city in 1648, barely two years after the completion of the Taj. The Red Fort and the Taj, along with many key buildings of Shahjahanabad were thus created at the peak of Shah Jahan’s patronage, a period universally recognized as one of the pinnacles of world art and architecture. They represent the highly evolved design consciousness of the Mughal emperor and his team of an imperial array of master-craftsmen, architects, masons, artists, overseers, trusted aides, and administrators. The Fort was however simultaneously far more complex and intimate than even the Taj Mahal. Not just a tomb or a garden, or even a mere imperial residence, which is the ordinary western conception or definition of a palace, the Red Fort was composed of many kinds of buildings, gardens, spaces and functions, like a city within a city. It was designed to function simultaneously as a showpiece of the empire, the residence of the imperial household, an administrative centre, a recreational node, as well as a cultural focus for Shahjahanabad. To put this into context, we can compare it to the Escorial, one of the largest palaces in Europe, constructed in the reign of Philip II in the mountains above Madrid in 1563, about eighty years before the Fort. Its size at 204 metres by 162 metres (670 feet by 530 feet), made it closer than most other Renaissance royal buildings to the scale of a small city. Yet it was five times smaller in area than just the inner palace of the Red Fort!? The Red Fort thus contained palace pavilions, imperial gardens and art objects to cater to the daily needs of the Emperor, his queens and his daughters, as well as administration halls, courts of justice and formal halls of audience. Additionally, it also housed more prosaic functions such as offices, retail markets, mosques, kitchens, elephant and horse stables, orchards, living quarters for the resident soldiers, maids and attendants who worked within the Fort, and karakhanas and workshops for skilled craftspeople who made objects specifically for imperial use. Kings, noblemen, petitioners, soldiers, ambassadors, stone-setters, jewellers, maids, weavers, even the poorest of the poor residents, came to work, to seek justice or to pay audience to the Emperor as part of the daily ceremonial custom at Shah Jahan’s court. The true significance and the scale of these activities can be appreciated when we realise that this is akin to it being a combination of the Rashtrapati Bhawan, North and South Blocks, Parliament House, Supreme Court, Secretariat, Cantonment, Crafts Museum, etc. Despite the huge flow of traffic, daily, of visitors-great and small, from within the city and beyond the boundaries of the empire – nobody got into each other's way within this mini-city. This was possible because of the Fort's ingenious design in which it accommodated public, semi-public, semi-private and private spaces. The public ceremonial areas were clearly and centrally positioned, marked out by straight axes, with formal courtyards that increased in size and magnificence, a succession of compelling gateways which no visitor could miss or ignore. On the other hand, the private areas, whether those of the Emperor and his family or of his attendant work-force, were located such that they were practically invisible. Shah Jahan’s living areas were atop the river-side wall, furthest from the Lahori and Delhi Gates of the city. Instead of being conventional huge towering vertical complexes, they were single-storeyed pavilions, their imperial status signaled not by size but by their proportion, refinement and detailing. His private entrance to the Fort was also from the banks on the river, which in those days was an important means of transportation and as a space for recreation. In fact the siting of functions throughout Shahjahanabad celebrated the presence of the river, something which should give us pause for thought today. The Fort’s imperial pavilions were not only located to afford stunning views across and cool breezes from the river; they were equally part of a grand spectacle from the river, their privacy unimpaired behind intricate marble jalis. These river-views were continued in the large havelis of noblemen and Princes, public and private gardens, and ghats, all of which lined the length of the Yamuna. In contrast, the living and working areas of the craftspeople and attendants were located between the Fort’s Main Gates and its towering outer walls adjacent to the city. They were densely built around twisting streets, resembling parts of Shahjahanabad; and positioned in such a way that they were shielded from the view of state visitors and even of the Emperor and could thus develop freely as independent territories. This can be more clearly understood through these plans developed to clarify the different domains of use and areas of movement of the main categories of people within the Fort - the Emperor, a nobleman, a Mughal queen, and an ordinary inhabitant of the city. The Fort was thus a microcosm of the Mughal way of life–not merely the Imperial Mughal way of life. In the design of the Fort, open space was fashioned such that it was used as an extension of built space—and built structures were devised to shade or enclose open space, so that they could together be used effectively in all seasons. Each sub-area within the Fort had its own courtyards bounded by gateways and continuous arcades that provided shaded areas to work, sit or walk in, as also privacy from the other spaces adjacent to them. As the Fort’s original design shows, the proportion of open spaces in it is far greater than the amount of built structures. A large amount of these open spaces were gardens, designed to provide pleasant and cool spaces, beautiful to see as well as to provide fruit and vegetables for the kitchens; they are described by contemporary historians of Shah Jahan as being planted with, ‘...fruitful trees of diverse kinds...interlaced with each other in such a way that they sky is not anywhere visible from under them’. The open courtyards and gardens also had the advantage of flexiblity. If there were larger crowds on special occasions, such as on the Fort’s inauguration ceremonies or at Shah Jahan’s birthday celebrations or during festivals, more area could be covered easily and quickly by spreading canopies and qanats in these courts. It was also because of these open areas sited in between built areas, that many of Shah Jahan’s original pavilions could stay virtually unobstructed and untouched, despite a greatly increasing population in the Fort during the times of his descendants. The later Mughal rulers got more structures built around the boundaries of the main courts and gardens or within many of the less visible ones. The built spaces too, whether the grand entrance gateways or the Emperor’s own pavilions, were multifunctional in use. All the buildings that the Emperor stayed or worked in were not enclosed buildings but pavilions, a series of verandahs, which could be hung with carpets and covered with qanats, or left open to let the river-breezes in.The palaces of the Emperor and his family as well as their grand entrance sequences which were a succession of forecourts and gateways were all multifunctional in use–they could equally be used for people to gather, for administrative work, for court ceremonial, as well as circulation spaces. So, the Lahori and Delhi gateways contained living quarters for soldiers, the Naqqar Khana Gateway not only provided a regulated entrance but also contained chambers for musicians; the Emperor’s Hall of Private Audience from where he dispensed justice also doubled up as a reception on the occasion of private celebrations. Actively and almost continuously used as an imperial Mughal Fort for almost two thirds of its life—the multifarious activities within the Fort continued to work practically as they were originally designed, without intruding on each other. Thus while the different layers of history which have left their mark on the Fort, undoubtedly make it a site of great interest, it is nonetheless, the value of its original design which invest it with an overriding significance in terms of world and Indian heritage. From its conception, to its ingenious construction and detailing to its continued efficient functioning, the Red Fort is unrivalled anywhere in the world. It embodies important lessons for everyone –architectural and art historians, contemporary designers and their clients, administrators, planners, leaders. What are these? First, that despite being the favoured residence and the prized patronage of arguably the richest ruler in the medieval world, the Red Fort was planned and detailed to be socially inclusive–It was designed not just as a residence of a monarch but as a miniature city with all the positive opportunities for economic, social and cultural interaction that a city affords. Everyone, even the poorest of the inhabitants was a stake-holder in the Fort. Visually, and spatially too there was no bar between the direct axis linking Shah Jahan to his people–instead of the ramparts and barbicans that block the Fort from the city today, originally a bridge lead straight from the Chandni Chowk to the Lahori Gate, and further to the Emperor’s Throne of Justice in the Diwan-i-Am Secondly, that the Fort’s design was ecologically and environmentally considerate–there was no unnecessary wastage of resources-instead of the stretches of high-maintenance lawns that pass for gardens today, the Fort’s vast gardens were essentially orchards; they worked as productive areas as well as places of pleasure, entertainment and repose; they moderated the micro-climate and used only the optimum amount of precious water. Even the water in the fountains used to cool and decorate the Fort’s pavilions and its gardens, or in the imperial bathing chambers was recycled–either for irrigation, or for watering animals, or for cooling the public parts of the Fort. Thirdly, the Fort’s design was an example of further development of the traditional indigenous courtyard typology; where not only were the proportions of the built and open spaces of the highest order but where utilization of space was maximized despite constructing a minimum number of built structures. And finally, the Fort’s design displayed those qualities which make design truly great, where no element is superfluous or extraneous. None of its structures and spaces was designed as simply utilitarian or purely decorative. Each component of its design—whether the form or detail of its gardens, pavilions, forecourts, gateways or colonnades was practical, useful and beautiful; the form, structure and decoration in them could not be separated from each other. The location and orientation of the buildings, gardens and courtyards that housed different activities, as well as their size, height and overall proportions, had ecological, functional, and aesthetic reasons. They were designed not only to impress a viewer or a user but also to be practical, easy to maintain and to be lived in during the different seasons. The Red Fort, symbolizes and exemplifies above all, a celebration of life–in its establishment, in the ceremonies that marked the Emperor’s sojourn in it, in the artists, painters, poets and singers that it patronized, in its gardens and in its trees that made life beautiful and pleasant even in the sweltering summers of Delhi. The complex multiple spatial uses of the Fort and its environs, and the bustling inclusive activity in them, and the manner in which they transformed at different times of the day and year, were a development of – as well as an influence on - the efficient and overlapping uses of built and open space in the Indian tradition, and the value that the administration and built form of this imperial city placed on the activities of common people. The intriguing architectural forms and detailing of the Delhi Jantar Mantar, the first in the series of the five Jantar Mantar observatories located in other cities, are also a direct outcome as well as a continuation and representation of these inclusive attributes of the Indian tradition, which elevate its value beyond their physical form and function, unique though these may be. Though many of the masonry instruments in the Delhi Jantar Mantar, originally titled simply 'Jantra' or 'the Instrument', are essentially new inventions of Sawai Jai Singh and his builders, they were inspired by, and devised after exhaustively studying existing prevalent instruments - not just limited to Sawai Jai Singh's Hindu inheritance, but also from other schools of astronomy from different cultures and regions. Jai Singh, conscientious in acknowledging his sources as well as confident of his original contributions, clearly writes of the initial instruments at the Delhi Observatory ‘such as had been constructed at Samarcand agreeably to the Mussalman books’ as well as of ‘instruments of his own invention’. The construction of the Delhi Jantar Mantar represents therefore, not only the will and energy of Sawai Jai Singh involved in each stage of the ambitious venture of this extraordinary observatory, but also the centuries old practical and theoretical tradition of Indian astronomy and architecture, that Sawai Jai Singh inherited, as well as the knowledge of astronomy from around the world that he gathered and analysed. These were translated into the instruments of the Jantar mantar by the efforts of the expert state-astronomers, mathematicians, gurus, and master-masons that Sawai Jai Singh patronised and honoured. The Jantar Mantar also represents a method of astronomy, which is now no longer conventionally followed. Even when it was built, it was extremely unusual, the last notable observatory of this scale having been built in Samarkand in 1424 AD by Mirza Ulugh Beg, grandson of the mighty Mongol warrior Timur Leng from whom the Mughal emperors also traced their ancestry. There were no surviving examples of large instruments even at that time—either in India, despite an ancient and accurate system of astronomy, or elsewhere in the world. Of the original extant range of instruments devised and built for the Observatory between the years 1721- and 1724, the three main ones—the Samrat Yantra, the Jai Prakash Yantra, and the Rama Yantra—are all inventions and innovations of Jai Singh and his advisors, and represent the spirit of enquiry and innovation which distinguishes true scientific endeavours. These were all built for the first time in the Delhi Jantar Mantar—a daring intellectual exercise and as a remarkable architectural feat—giving it an immeasurable scientific and historic value. The last masonry instrument to be built at the Delhi Jantar Mantar, the Misra Yantra which dates from the 1750s, is unique to it; like the Harrappan script it still evades complete understanding, and represents a challenge to our ingenuity. These Yantras, designed to accurately measure solar time,(especially at sunrise, sunset or noon—important times for daily religious rites) or to accurately measure positions of celestial objects (especially at the juncture of seasons and the solstices—important times in the yearly religious rites), are also important in that they represent a continuation of the oldest traditions of observational astronomy in India, which can be traced far-back to the requirement for such rituals in Vedic times. A temple dedicated to the child Bhairon, the Bal Bhairon Mandir, which still exists and is positioned on the east-west axis in line with the earlier entrance of the Observatory and its most important Yantra, the Samrat, is part of this holistic link between the spiritual, the creative and the scientific aspects of the Indian tradition. Apart from being important for Jai Singh’s personal ritual practices as well as that of his traditional inheritance, the Delhi Jantar Mantar also had a wider use and involvement with all the people of the Mughal Empire including its Emperor. A revised set of astronomical tables was prepared primarily on the basis of recordings made at the Delhi Jantar Mantar continuously over a period of seven years. Dedicated to, and named after the reigning Mughal Emperor Muhammad Shah, the Zij-i-Muhammad Shahi was presented to him with ceremony, and used throughout the Mughal Empire, to formulate the yearly calendars used to plan important religious, political and administrative events as well as social, agricultural and cultural activities. The information in the Zij, the numerical tables and accompanying explanations to measure time and to compute planetary and stellar positions, was also utilized in the Pancangs, the traditional Hindu calendars listing different festivals, seasons, positions of the moons, eclipses and other such information. In the larger cultural context, such ritual worship of gods and ancestors and celebration of festivals in accordance with planetary events, were in turn used to predict seasonal weather changes relevant in day-to-day life. Even till much after Jai Singh’s time, the knowledge of astronomy was put to practical use, not only for marking time and seasonal changes, but also for accurate foretelling of natural calamities. Additionally with the observations made with the help of these instruments, Jai Singh and his astronomers were also able to discern errors in existing tables such as the Tabulae Astronomicae of the French astronomer, Phillip de la Hire. As Jai Singh himself writes in the conclusion to the Zij compiled sometime between 1728 to 1732, ‘with the help of our own new instruments, we have observed five well-known satellites and other heavenly bodies; we have revealed a number of new data’. The Jantar Mantar generated knowledge of the larger world, the universe in fact, and made this knowledge accessible and useful to a huge section of populace, beyond the boundaries of the city it was situated in. Thus, instead of seeing the Delhi Jantar Mantar merely as a collection of archaeological remains, it must be appreciated for its immense relevance as an educational, scientific and cultural resource for India and the world. Unlike the later Jantar Mantars, the instruments of the Delhi Observatory contain much of their original built components. And even though the Observatory has not been used for purposes of astronomy for more than two hundred years and most of the calibrations made by Jai Singh’s master-masons have been lost—due to weathering, replacement or imperfect maintenance, it is still possible to revive the function of its Yantras. The standard reference so far for the Jantar Mantar, published in 1918 and written by George R. Kaye, terms its Yantras ‘archaeological remains’, their primary worth deriving from their association as ‘noble monuments of a remarkable personality’. This has undoubtedly influenced its conservation for the past hundred years as an urban garden in the tradition of an English landscape. Rather than as a medieval Indian observatory; its Yantras presented as a collection of ‘architectural follies’ amidst a plantation of tall palm trees rather than as precise instruments of astronomy. However, as Dr. Rathnasree, the Director of the Delhi Nehru Planetarium, has said: 300 years after they were built—they are still the easiest access...of doing celestial co-ordinate measurements’. They can be effectively used to measure local solar time, observe stars and calculate positions of celestial objects. No other instruments anywhere in the world can demonstrate the movement of the earth and the planets with such clarity as these Yantras. No other instruments are so easily accessible to an ordinary person. They are particularly suited not just to observe the skies, but also to demonstrate principles of spherical trigonometry, physics, mathematics and geography. The readings with them, once the principle is understood, can be done very rapidly even by a schoolchild. Their conservation, as that of our city's other historic structures – in a continuation of the original spirit of their construction and use – has an implication thus not just on their repair and maintenance but also on their beneficial use by communities living around them, and indeed by all the people of our world. Ironically, today this awareness seems to evade our collective imagination. From tourist brochures to government signages, we repress and reduce Delhi’s long and complex history into a mere ‘postcard’ image—an empty stage set viewed from the outside, focused on a limited period, and completely excluded from its people and the context of its urbanity. My most telling metaphor for Delhi is that of an onion—multi-layered, veined and coloured with many shades. The hidden vapours of the pasts that lie within its layers, rise unbidden to sting you into an awareness of a different time—but they are being forcibly prised apart and scattered into forlorn stray wisps even as we speak. All but a few prominent fragments of the wealth of our city's diverse historic spaces as well as its colourful historic traditions, have disappeared under the guise of ‘development’. Even the architectural landmarks we extol, are dwarfed or hidden behind purdahs of railings, walls, offices, malls, flyovers and highways, so that they cannot literally be approached—forget about being understood or appreciated. And so, let me say that Delhi is a world-heritage city in acute danger of losing its heritage, and the very human-skills which produced this heritage. The most recent instance is that of the temporary traditional Flower Markets in Chandni Chowk, Mehrauli and Connaught Place, which vividly preserved and celebrated our spatial heritage of using urban space in multiple, efficient and sustainable ways. The marigold flower-market on the pavements of Khari Baoli, echoes the memory of the many-layered activities recorded in the mid-18th century in 'The Chandni chouk, the fruit market, the Daribah Bazaar, and the buildings around the Masjid-i-Jama'? The reputation of Delhi, as recorded by travelers from other parts of the subcontinent, such as Dargah Quli Khan from Hyderabad, who visited Delhi with his patron, Nizam Asaf Jah I, during Emperor Mohammad Shah's rule (1720-48 CE), was as much due to the sights and sounds in its streets and forecourts, its aromatic baghs and orchards; its canals and trees - as in its grand edifices. His recollections of Delhi are alive with dancers, story-tellers, astrologers, doctors, jugglers. Cities like Jaipur and Mysore recognise the economic, cultural and social value that such vibrant activities and historic street-markets lend to their cities, and their attractiveness for visitors—but we relocate these to huge centralized wholesale markets in Ghazipur on the outskirts of the New Delhi in a continuation of the model of development we have been following in Delhi since the past 100 years. Such a development only works with a colonial scale investment of resources, and negates the very qualities inherent in the shaping of our historic city, manifest most brilliantly perhaps in the building of the Red Fort and the Jantar Mantar. It instead continues one strand of Delhi’s history, ‘the bungalow ’ first introduced in the Civil Lines and then used to build British Imperial New Delhi; which unfortunately has never been “urban” by design and has always been a collection of “villas” with trees in their gardens. It is also a theme of separation—between different parts of the city; between the street and the building; between older structures and contemporary ones; between traditional building practices and current mechanized ones. The isolation this has wrought, rings Delhi into wastelands of empty roads and desolate greens, pushed out further and further to satisfy the diet of developers and maneuverable only on the backs of machines, denying basic living services in the historic parts of our cities, and reducing them to ghettos. Engulfed by the expanding modern Delhi, yet discounted as significant partners in its development, these are ironically often given the official status of ‘urban villages’. The last time that the heritage of Delhi underwent such large-scale interventions, was probably when the British mowed down and refashioned so many parts of it after the Great War of 1857, both to gain control as well as to alter the memory of its inhabitants. As far back as 1987, the fact that historic cities ‘…are being threatened, physically degraded, damaged or even destroyed, by the impact of the urban development that follows industrialisation in societies everywhere’, as well as the belief that: ‘…to be most effective, the conservation of historic…urban areas should be an integral part of coherent policies of economic and social development and of urban and regional planning at every level’, has been enunciated and publicized in the Washington Charter for the Conservation of Historic Towns and Urban Areas. If we wish to conserve Delhi's heritage, which we must, we need to do more than get it declared a world-heritage city. We need to forge a living identity with its complex history. To take cognisance of the greater levels of social interaction, safety, and climatic comfort in our historic architecture; to derive lessons from them in building newer parts of our city; to provide economic and social conditions where we simultaneously accommodate our past creations, as well as the positive spirit and the human skills that that gave rise to them. If merely declaring and receiving world-heritage status was enough, we would not have countenanced the conversion of Shah Jahan’s private river-side entrance to the Red Fort, into a crude sunken pit next to a standard municipal garden - reducing the sublime to the ridiculous. We would not develop swathes of gated, fenced and manicured, water-guzzling lawns in a reiteration of its devastating ‘colonial intervention’. We would not contemplate the ‘restoration’ of its parts, as communicated in the newspaper report printed in The Hindustan Times of 2nd February 2009, into an evocation of a colonial Victorian market. In another hundred years from now, this refashioning may well be mistaken as the work of Shah Jahan’s builders, and with reason lead to the conclusion that its title of the ‘Most Magnificent Palace in the East’ is more fancy than fact. We can still realise the promise of the different cities of Delhi and its unparalleled heritage - contained together, yet growing and green—but only when we re-look at the linked diverse human past of our immediate and larger worlds. And when we restore the same qualities of inclusiveness, of concern for people, for the environment, for material and human resources—as Shah Jahan and Sawai Jai Singh and their builders did. When we envision and define a 'world-class' city that has space to nurture and harness the skills of our diverse and rich traditions—instead of promoting a uniform and elite society derived from the western world. When we truly include instead of disregarding the citizens of Delhi and this country—poor and rich alike, professionals and laypeople. It is only then that we can communicate, conserve and continue the attributes of Delhi that make it part of the heritage of the world. The Journal of a Tour in India, Captain G. Mundy, p. 56. Jaya, An Illustrated Retelling of the Mahabharata, Devdutt Pattanaik, p. 114, Penguin Books 2010. Conducted since 2004 by the Delhi Nehru Planetarium, the Science Popularization Association of Communicators and Educators (SPACE), and the Delhi Amateur Astronomers Association. See for instance the 18th century map of the Fort (Add. Or 1790, OIOC, BL), the mid-19th century map of Shahjahanabad (X/1659; OIOC, BL); ASI 1904 map; reproduced in The Red Fort of Shahjahanabad, Anisha Shekhar Mukherji, O.U.P. India, 2003, pp.7 and 105. 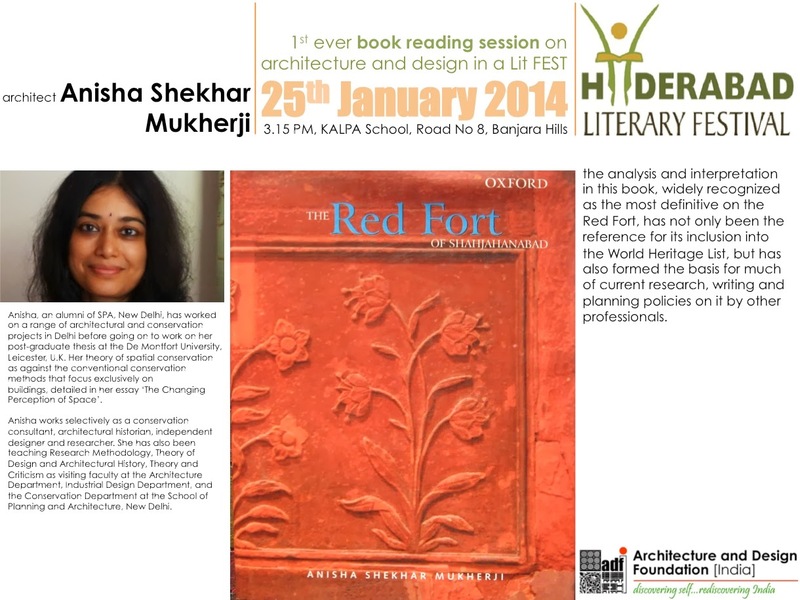 The Red Fort of Shahjahanabad, Anisha Shekhar Mukherji, O.U.P. India, 2003, p. 26. V. N. Sharma, pp. 85-6? Even in medieval times, and in the reigns of rulers with an interest in this science, as for instance the 14th century Tughlak ruler, Firoz Shah at Delhi, the range of instruments essentially consisted of astrolabes, a sundial and possibly a clepsydra for telling the time. A letter, written by Colonel Pearse in the late 18th century, four decades after Sawai Jai Singh’s demise, records how he received in Bengal the prediction of three comets and an earthquake some three months before the earthquake desolated extensive regions around Lahore; ‘On the Sixth Satellite of Saturn’, Letter from Col. T. D. Pearse to Secretary, Royal Society London, dated Madras 22 September 1783; p.111 in Dharampal, Indian Science and Technology in the Eighteenth Century, Collected Writings. Tazkira of Anand Ram Mukhlis', Eng. trans. eds. H. M. Elliot and J. Dowson, The History of India By its Own Historians, The Muhammadan Period (Vol.VIII), p. 88, Kitab Mahal Pvt. Ltd. 1969. Muraqqa-i-Delhi, The Mughal Capital in Muhammad Shah's Time, Dargah Quli Khan, pp. 21–5, Eng. trans. Chander Shekhar, and Shama Mitra Chenoy, Deputy Publication, New Delhi, 1989. .See Red Earth - Walk – Flower Markets of Delhi, redearthindia.com; www.thegendaphoolproject.com.